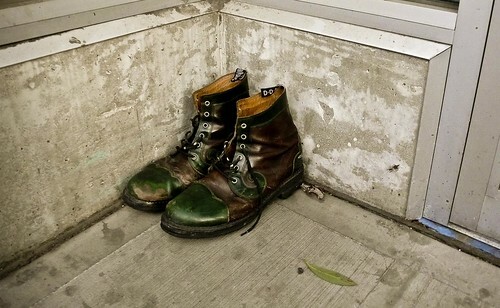 PhotoDay......Jim Scolman: Black & Green Boots in a Doorway. Black & Green Boots in a Doorway. ...these were near a Safeway just off Madison, gone soon!